At last, we can witness the Ian McKellen/Jim Caviezel battle of wills (and acting.) AMC's remake of the The Prisoner will air on November 15 and stretch over three nights — that's six hours of mind twists. 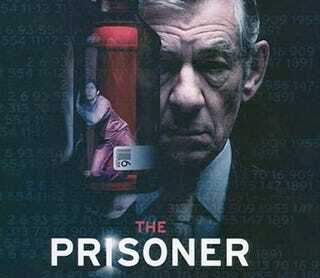 Ian McKellen plays the devious Number Two, leader of "The Village" a place where retired agent Number Six (Jim Caviezel) is sent to against his will. The Village is made up of exiled a exotic collection of folk, each with a secret past with numbers for names. Can't wait until November? Right now AMC is hosting the entire 60s show on their site. The reboot will air at 8 PM.